The 92mm body has been packed with 40g of weight which exceeds most jig minnows. 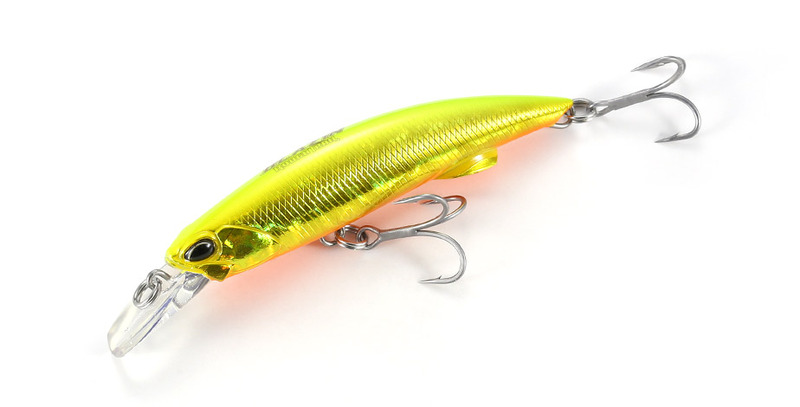 Even with the heavy weight settings, the bevel cut lip and the flip design tail creates lift allowing the lure to initiate the action smoothly while maintaining its balance at high speed retrieval. 40g of weight has been packed into the 92mm body, rivaling it to those heavy jig minnows. a strong 1.2mm diameter thick wire runs through the whole body to with stand the large fish. the tip of the lip has been cut to grab the water efficiently to help the initial action response. 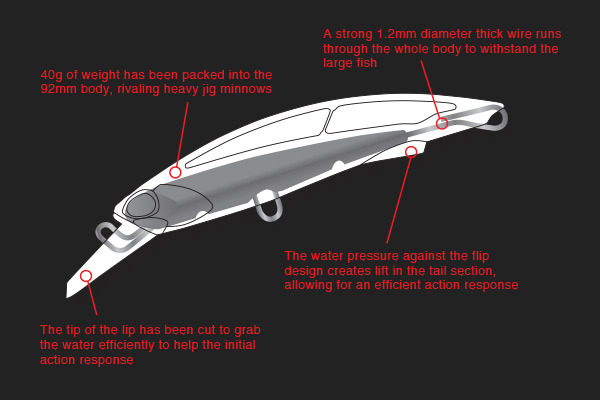 the water pressure against the flip design creates lift in the tail section, allowing for an efficient action response.